The human body needs potassium for both cellular and electrical function. It is one of the main blood minerals, along with sodium and chloride, called “electrolytes” which carry tiny electrical charges throughout the body. 98 percent of the potassium contained in the body is found within the cells. The blood serum contains about 4-5 mg. (per 100 ml.) of the total potassium; the red blood cells contain 420 mg., which is why a red-blood-cell level is a better indication of an individual’s potassium status than the commonly used serum level. Magnesium helps maintain the potassium in the cells, but the sodium and potassium balance is as finely tuned as those of calcium and phosphorus or calcium and magnesium. Research has found that a high-sodium diet with low potassium intake influences vascular volume and tends to elevate the blood pressure. A natural diet high in fruits, vegetables, and whole grains is rich in potassium and low in sodium, helping to maintain normal blood pressure and sometimes lowering elevated blood pressure. The body contains more potassium than sodium, about nine ounces to four, but the American diet, with its reliance on high sodium foods upsets this balance in all too many cases. Potassium is one of the most soluble minerals, so it is easily lost in cooking and processing foods. Most excess potassium is eliminated in the urine or sweat. When we perspire a great deal, we should replace our fluids with orange juice or vegetable juice containing potassium rather than just taking salt tablets. The kidneys are the chief regulators of our body potassium, keeping the blood levels steady even with wide variation in intake. The adrenal hormone aldosterone stimulates elimination of potassium by the kidneys. Alcohol, caffeinated drinks, sugar, and diuretic drugs, cause potassium losses and can contribute to lowering the blood potassium. Along with sodium, it regulates the water balance and the pH balance in the blood and tissues. Potassium enters the cell more readily than does sodium and instigates the brief sodium-potassium exchange across the cell membranes. In the nerve cells, this sodium-potassium flux generates the electrical potential that aids the conduction of nerve impulses. The “sodium-potassium pump,” helps generate muscle contractions and regulates the heartbeat, and helps in preventing the swelling of cells. If sodium is not pumped out, water accumulates within the cell causing it to swell and ultimately burst. Potassium is very important in cellular biochemical reactions and energy metabolism; it participates in the synthesis of protein from amino acids in the cell. Potassium also functions in carbohydrate metabolism, and is active in glycogen and glucose metabolism, converting glucose to glycogen that can be stored in the liver for future energy. Potassium is important for normal growth and for building muscle. There is no effective method for potassium conservation in the body. Even when a potassium shortage exists, the kidneys continue to excrete it. Because the human body relies on potassium balance for a regularly contracting heart and a healthy nervous system, it is essential to strive for this electrolyte’s balance. The average American diet has reversed the natural high potassium-low sodium intake, and a shift back to this more healthful balance will help reduce some types of elevated blood pressure. Supplementing potassium can be helpful in treating hypertension specifically caused by a hyper-response to excess sodium. Studies have shown that potassium supplementation lowers systolic blood pressure from an average of 12 mm Hg and diastolic blood pressure an average of 16 mm Hg. Dietary potassium is usually sufficient to insure a proper balance with additional supplementation, but one must seek out foods high in potassium to achieve the critical levels required. One medium banana packs about 422 milligrams of potassium, about 11 percent of the 4,700 milligrams adults should intake daily. But, thank goodness, it’s not the only place the electrolyte can be found. Having a lifelong aversion to bananas, I will turn to almost any other source of potassium in my diet. There are a number of rich sources of potassium that might surprise you. For instance, a medium baked potato will give you up to 751 milligrams of potassium, and a medium sweet potato will supply 542 milligrams, along with a nice dose of antioxidant beta-carotene. A cup of cooked Swiss chard packs 961 milligrams of potassium, more than the equivalent of a medium banana. Spinach also contains 839 milligrams per one cooked cup, while a cup of cooked beet greens has more than 1,300. Many varieties of this fiber- and protein-packed superfood are rich in potassium, including white beans, with 1,189 milligrams per cup, lima beans, with 707 milligrams per cup, edamame, with 970 milligrams per cup and lentils, with 731 milligrams per cup. A cup of cooked butternut squash contains 582 milligrams of potassium, while the same amount of acorn squash delivers 896 milligrams. Plus, they’re loaded with vitamin A and omega 3s. With 167 milligrams of potassium per date, a handful of this dried fruit beats out a banana, and supplies a nice dose of fiber along with it. A 8-ounce container of low-fat yogurt contains 531 milligrams of potassium. Just beware of some varieties which can be loaded with sugar. 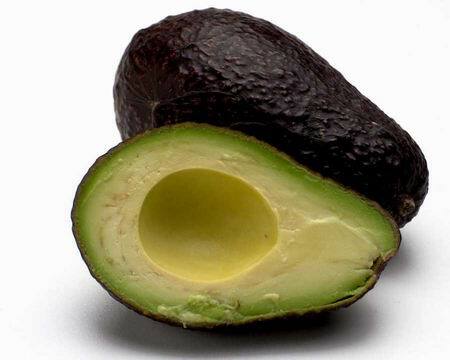 One avocado contains 975 milligrams, more than twice as much potassium as a banana. Even if you don’t eat the entire fruit in one sitting, scooping half into a salad or topping a sandwich or burger with a few slices will still do the trick throughout the day. A cup of the canned or jarred stuff can contain upwards of 800 milligrams of potassium. Just make sure to pick a brand that’s low in sodium and added sugar. A three-ounce serving of halibut packs 449 milligrams of potassium, slightly more than that medium-sized banana. 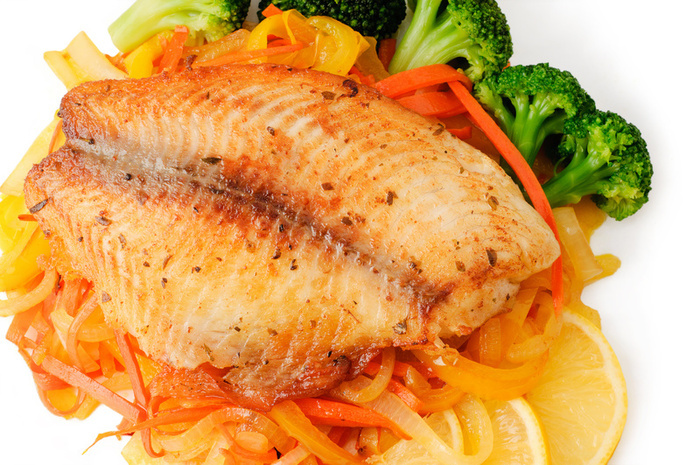 Salmon and clams are among other good seafood options.